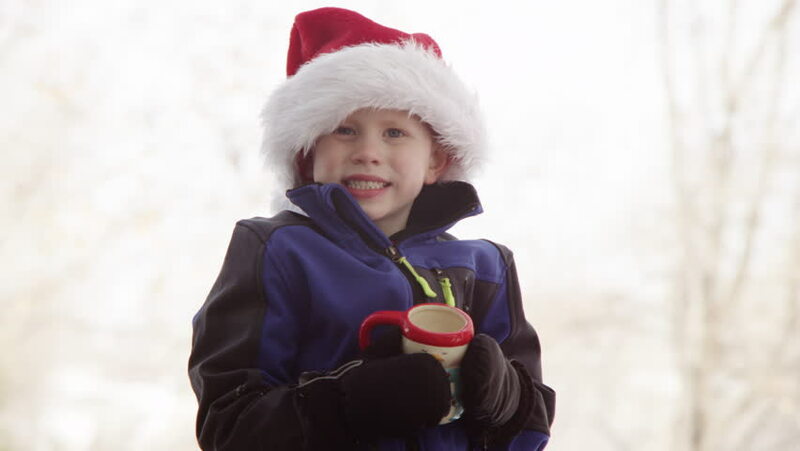 Little boy drinking hot chocolate outdoors, winter day. 4k00:09Santa on winter forest background outdoor, snow. hd00:17Attractive young woman in sunny winter park, playing snowballs, throwing snow, having fun, smiling, and laughing. Slow motion video.